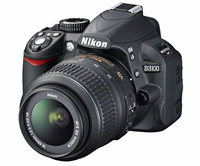 The 14.2-megapixel D3100 increases image performance, while trailing behind its competitors in video. For pure shutterbugs though, that is no big loss, especially considering just how amazing the image quality of the D3100 is. Do not let its small size and low price fool you, the D3100 packs a sure powerhouse of a photographic punch. The Gigabyte Radeon HD 5870 Super Overclock deserves special mention for being the best Radeon HD 5870 card we have tested all year. Heavily factory overclocked and featuring cherry-picked GPUs, Gigabyte’ Ultra Durable suite of components, and a custom designed Windforce anti-turbulence cooler, the card is a capable all-round performer that continues to stand tall today despite newer, faster models. Light yet tough is the Panasonic Toughbook CF-S9. A rugged business notebook by nature, the 12.1-inch notebook may look chunky, but it's light, portable and can take plenty of abuse. Battery life is also another plus point, as the unit can go for a long time without a charge. The HDR-XR550E shoots smooth, clear video and has a large, vibrant and responsive touch-screen to boot. It also features a 10x optical zoom and a new Optical SteadyShot Active Mode image stabilization technology. With a 240 GB internal hard drive, you'll be shooting videos for hours. In a world flooded with Android devices, it is hard to position your product uniquely or otherwise. Sony Ericsson deserves a mention for its Xperia X10 as it featured the innovative Timescape and Mediascape interface, one that combines both communications and multimedia content into a single timeline. While its user interface could have used more polish, the HDC-HS700 stands out by shooting sharp, clear video, with quality that solidly places it in one of the top camcorders of the year. It features a 3MOS system and a 35mm wide-angle Leica Dicomar lens. 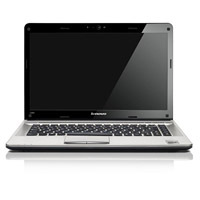 Packing in a powerful Intel Core i7 processor and discrete graphics is Lenovo's IdeaPad Y560 that is made just for those looking for a multimedia notebook. 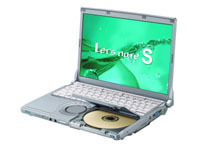 It also helps that it is priced very competitively compared to other similar notebooks while not skimping on the build quality nor multimedia features like a Blu-ray drive. 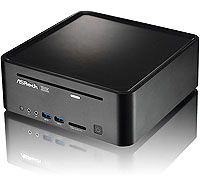 With the Vision 3D mini PC, ASRock has crafted a system that would set home theater PC enthusiasts salivating with desire. The Vision 3D is equipped with a mobile Intel Core processor with NVIDIA's GeForce GT 425M that allows it to play 3D Blu-ray movies thanks to its support for HDMI 1.4a. 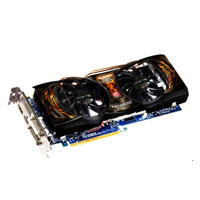 Enthusiasts can even easily upgrade the components themselves to their satisfaction. 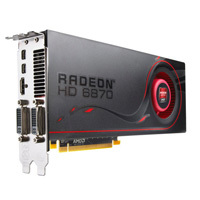 The Radeon HD 6870 was the first card to be launched based on AMD’s new Northern Islands architecture, and although it was not a major step forward for AMD, it offered improved performance, especially where tessellation is concerned. It also improved upon the older Radeon HD 5000 series by offering support for 3D Blu-ray, 3D gaming and enhanced EyeFinity capabilities. One of the first mini-ITX motherboards that garnered quite a significance in the motherboard market, the Zotac H55-ITX WiFi is more than suitable for HTPC enthusiasts, based on Intel's capable H55 chipset that makes for decent integrated graphics that can play HD content without a hitch. It comes with a PCIe slot for those looking to buff up the graphics to create a mid-range gaming system.